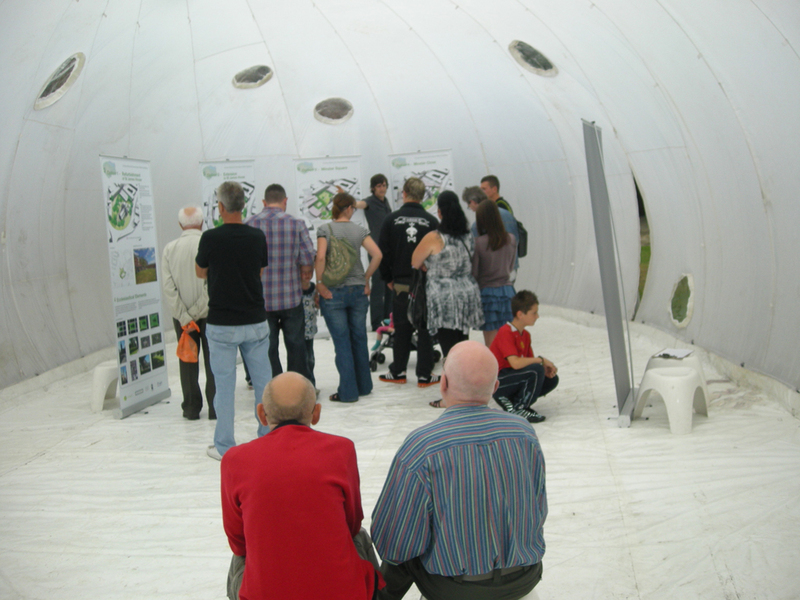 In mid 2010 North East Lincolnshire Council commissioned a consultancy team led by URBED with support from Landscape Projects, AGD Regeneration and BFAW to undertake a Market Review and Concept Design work for St James House and St James Square. 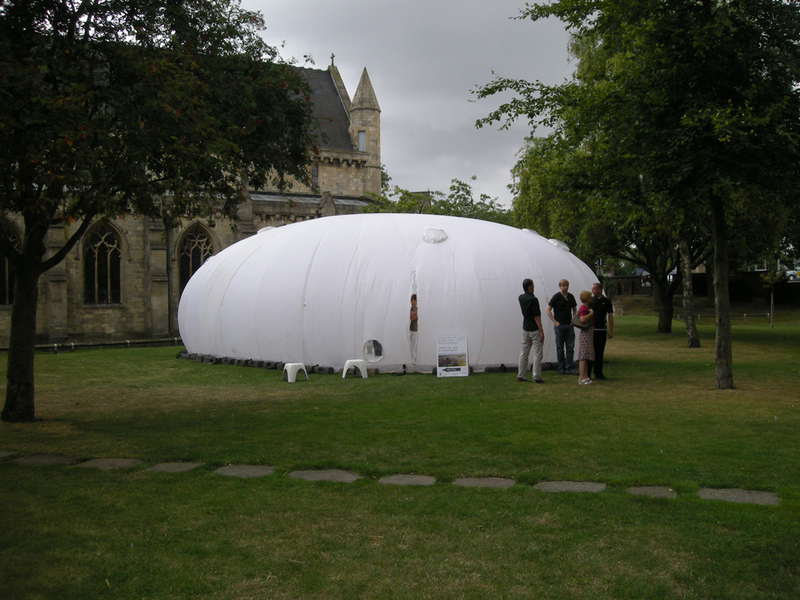 The study has been funded by Yorkshire Forward. This study looks to build upon the Masterplan for Grimsby Town (GTCM) completed in October 2009. The GTCM identified St James House and St James Square as one of 5 Tier 1 projects to be brought forward over the following 5 years. The GTCM identifies that ‘St. 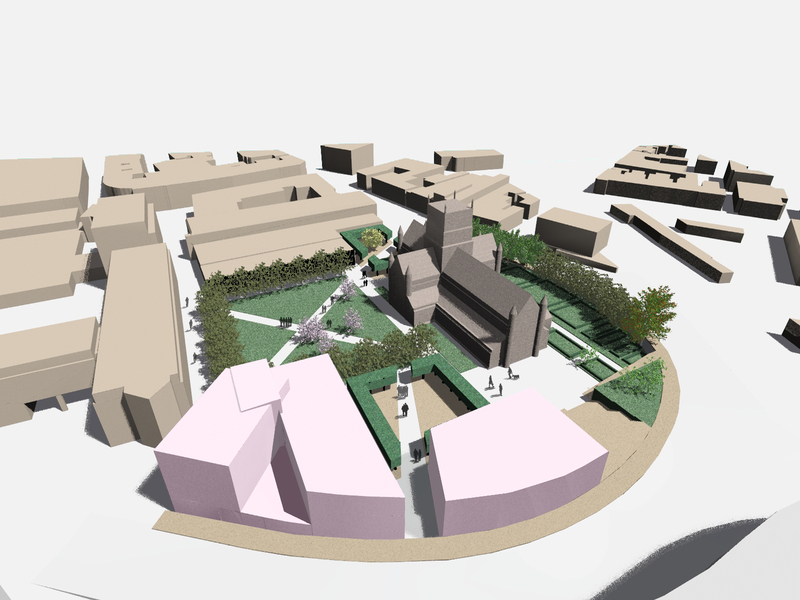 James’ Square should remain the tranquil heart of the town centre and provide a calm, safe dwelling space but will be strengthened by the replacement of poor quality surrounding development with new and refurbished buildings which will provide activity and security with appropriate ground level uses. 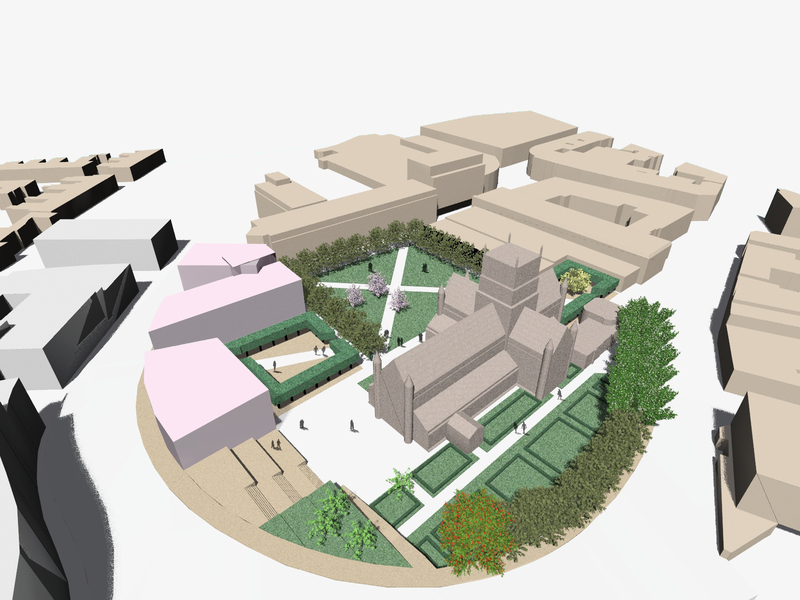 New buildings surrounding the Square will complement and respect the scale of the historic church and should include social and cultural uses. 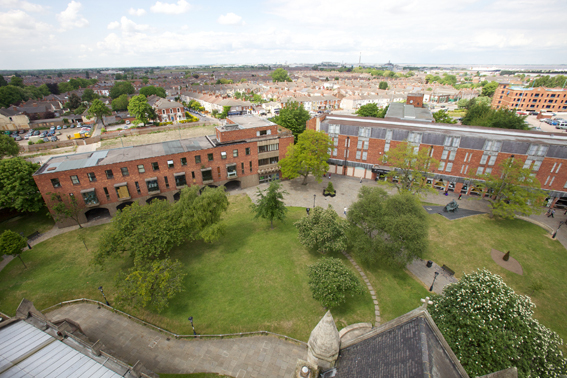 Activity and movement will be encouraged with the specific aim of improving safety but this will remain a tranquil green oasis.’ St James House and Square are located to the West of the town centre in the grounds of St James Church, the towns greatest cultural and architectural asset. 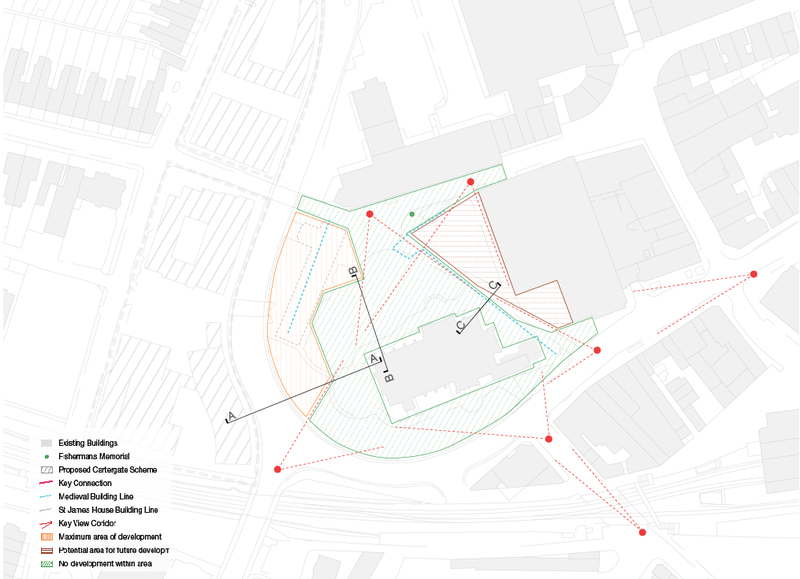 We began this report by describing the analysis undertaken as part of this study of St James Square and its surrounding area. In Part Two of the report we develop a number of options for the redevelopment of St James House and Square. 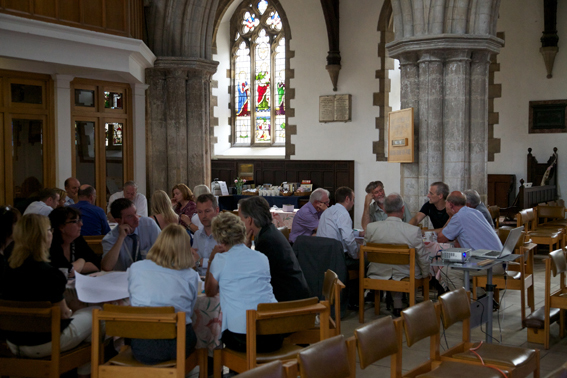 These options were then appraised against regeneration objectives, viability, deliver and community support. In the final section of the report we develop the preferred option and explore delivery models to take the project forward.